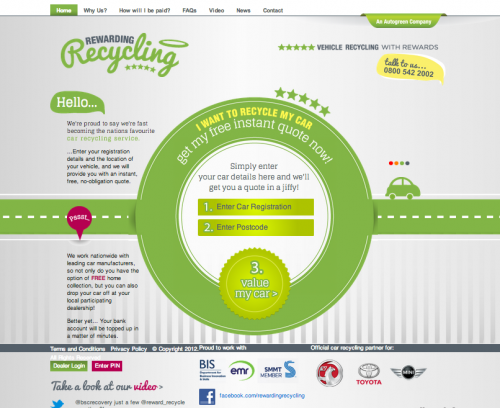 Ultimate has just launched the UK’s most convenient Car Recycling service website – Rewarding Recycling. They are already preferred partners to the majority of the world’s leading car manufactures such as Toyota, BMW, Mini and Mercedes to name a few! check out http://www.rewardingrecycling.co.uk/ and let us know what you think! ?